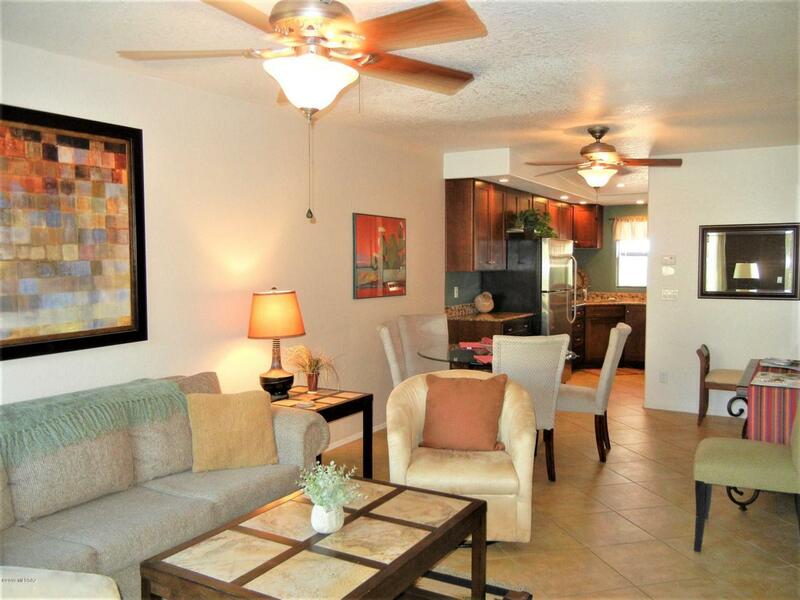 RESORT LIVING next to Ventana Canyon Lodge Golf & Country Club.Second floor 2 bedroom unit or use as a DEN/STUDY (second BR). Exceptional Mountain views from Great room, master bedroom and patio. One of the best views in the project. Upgrades = Granite counters, cabinets, tile, walk-in shower tiled, ceiling fans. Wildlife sightings and a beautiful sunrise from your balcony. Abundant birdlife viewing and and no one living behind you. Golf and tennis memberships are available at the adjacent Ventana Canyon Lodge and golf club. Balcony and STORAGE AREA. Furniture available as optional purchase.PROJECT: Extensive mature landscaping, 3 pools, 2 heated; Fitness Ctr. Club House. Assigned covered parking.Financing available.